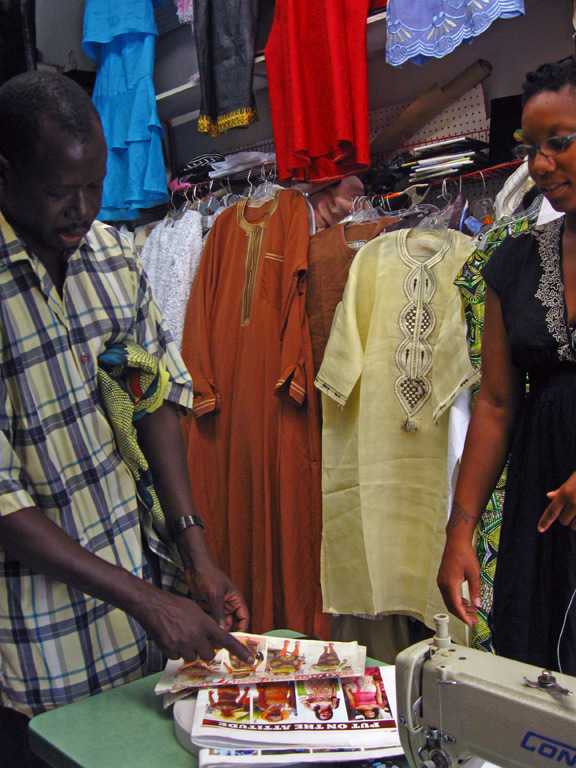 Above: A Story Skirter works with Senegalese designer Abdoulaye Kebe at his shop in BedStuy to design a dress out of fabric printed in Lagos to commemorate Obama’s first presidential campaign. She later chose to insert the project into a local Afro-American historical site Weeksville Heritage Center by wearing it during her tour guide duties there. 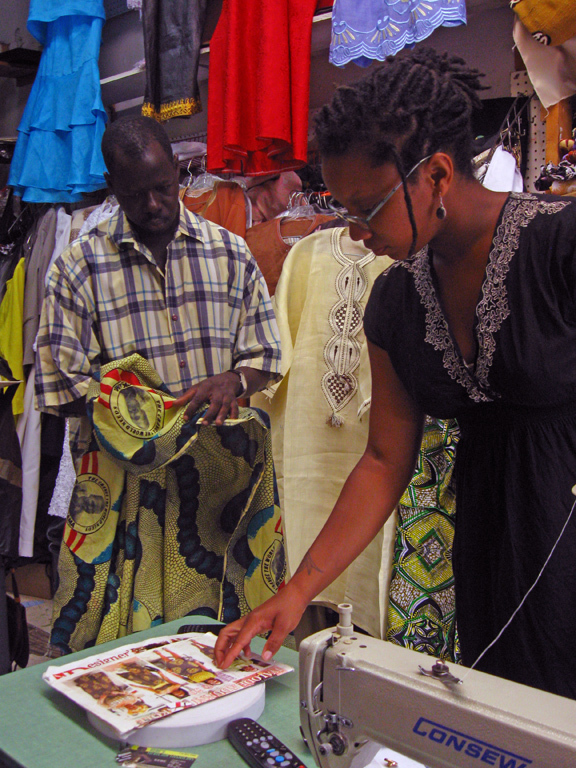 This score engages Afro-American women (from families that came to the US via the slave trade) in creating family heirloom garments as a way of exploring what it means to have a first black president. It was created as a way for women who expressed a desire to do something similar to Cousins' 365 day performance From Here I Saw What Happened and I Could Not Understand, but were unsure about the idea of performing the same action everyday for a year. Fun Fact: The 1st round of Story Skirters lived in square mile subsection of BedStuy. The 2nd round live in the more concentrated area depicted below. This is because a secondary goal of the project was to introduce residents to African political fabrics in ways that mimicked how they would experience them if they had grown up in Accra or Dakar. For example, residents would periodically run into women (some friends and neighbors) wearing fabric that paid tribute to a politician who was currently in office or running for office.